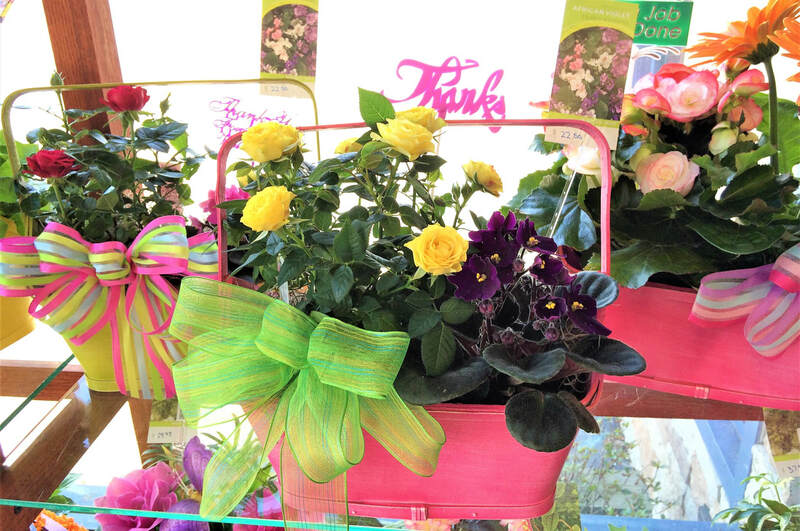 Graci's is the place to go for all of your floral needs. 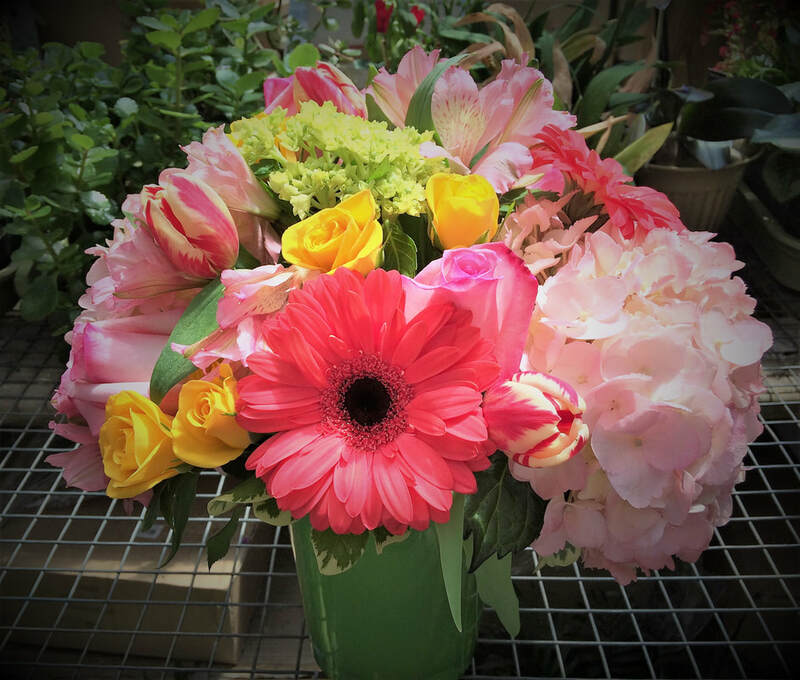 Our designers can craft an arrangement just for you. 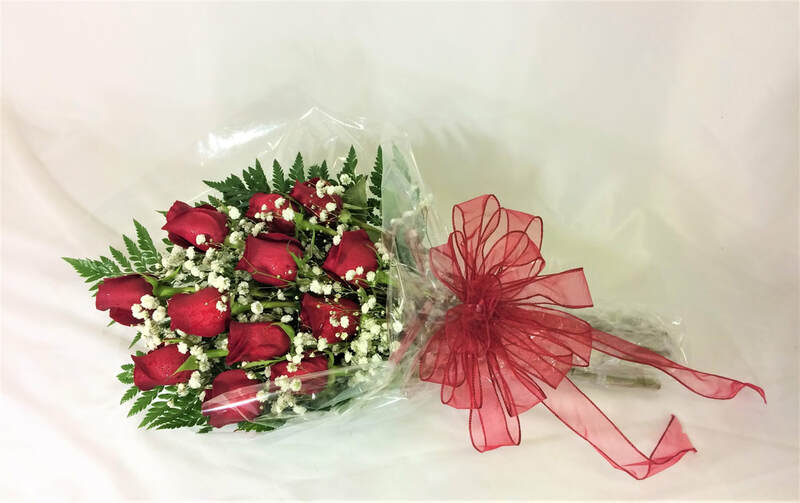 Below are just a few examples of the special bouquets we've made for other customers. For even more photos, checkout our Facebook page & Instagram. 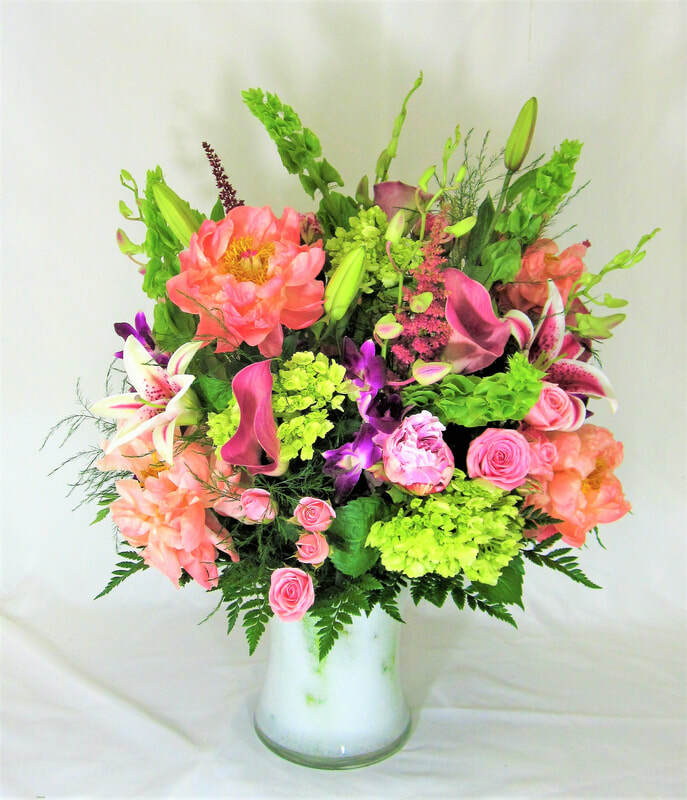 Big & beautiful elegant mixed spring bouquet of coral peonies, pink miniature calla lilies, spray roses, stargazer lilies, purple orchids, green hydrangeas, and bells of Ireland, arranged in a glass vase. 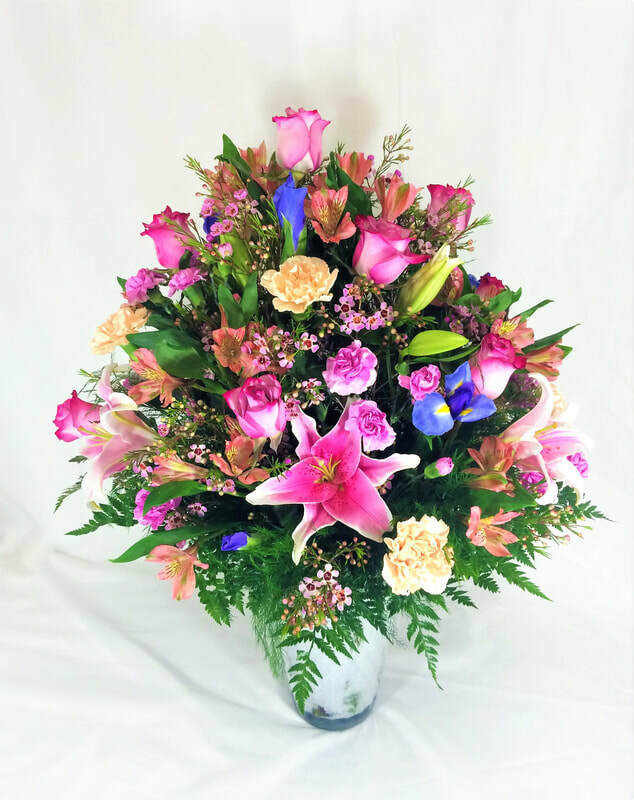 Pastel toned flowers make up this big & beautiful bouquet of roses, stargazer lilies, iris, carnations, alstroemeria and wax flower. 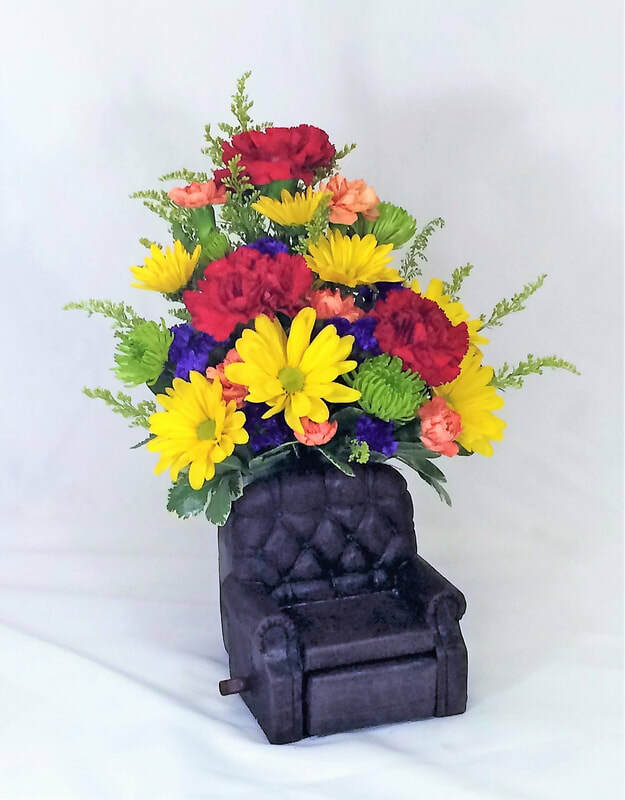 Take it easy with this bouquet in a ceramic container shaped like a tiny recliner, complete with a working footrest. 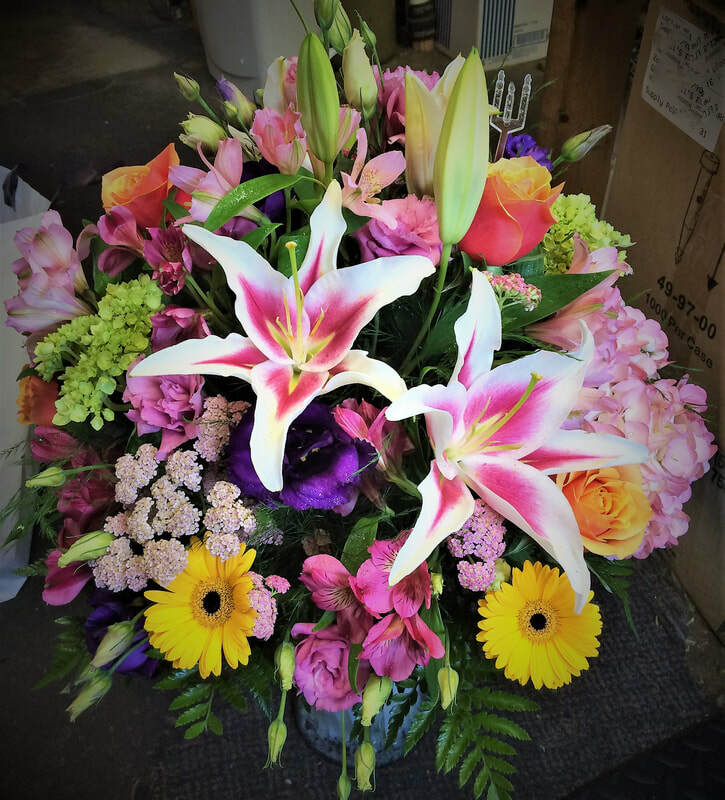 Stargazer lilies, Cherry Brandy roses, green & pink hydrangeas, gerbera daisies, purple & pink lisianthus, cottage yarrow, and more, all mixed together in large wildflower-look arrangement. 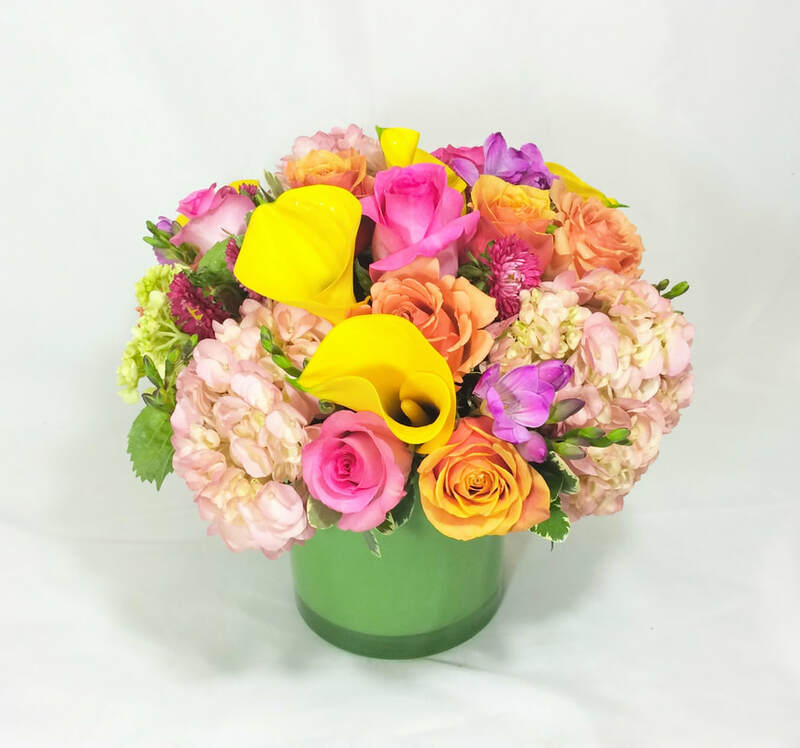 Pretty spring arrangement done in a leaf green cube vase features gerbera daisies, yellow spray roses, green & pink hydrangeas, pink roses and bi-color tulips. 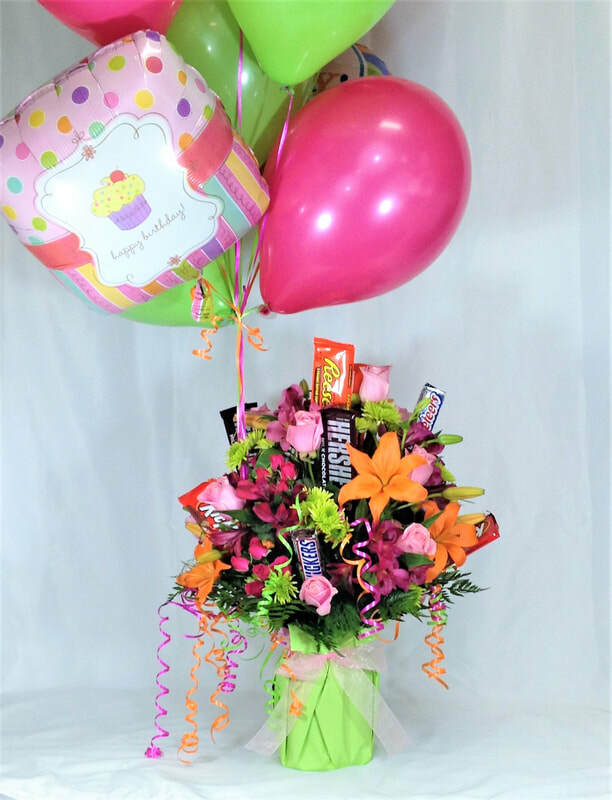 A colorful mixed bouquet of fresh flowers, wrapped up & adorned with ribbons and streamers and topped off with a selection of yummy miniature candy bars. 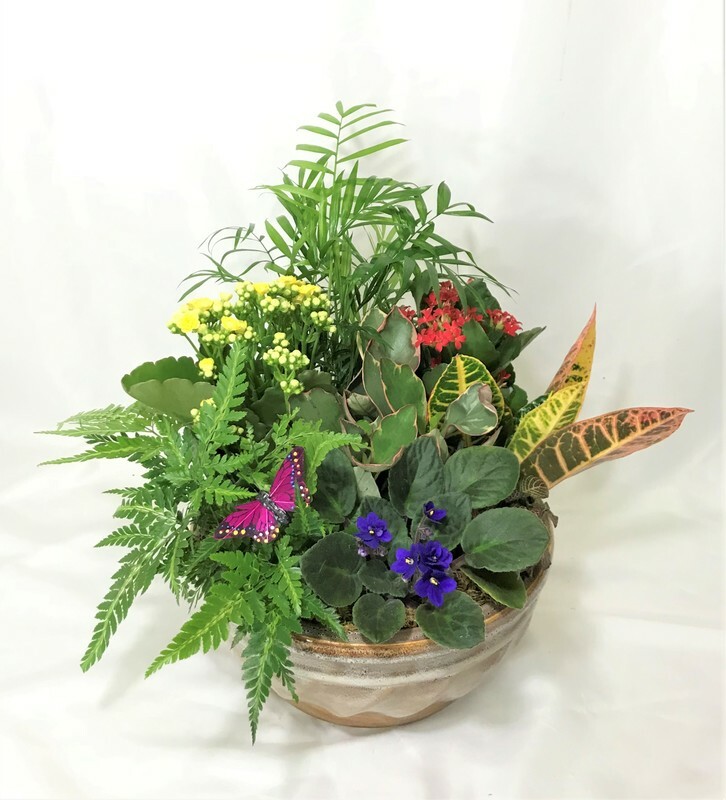 Patio pot of assorted spring annual plants, perfect for outdoor display on your front porch, back deck or even to be placed as a memorial at a grave site. A great gift idea for a new baby! 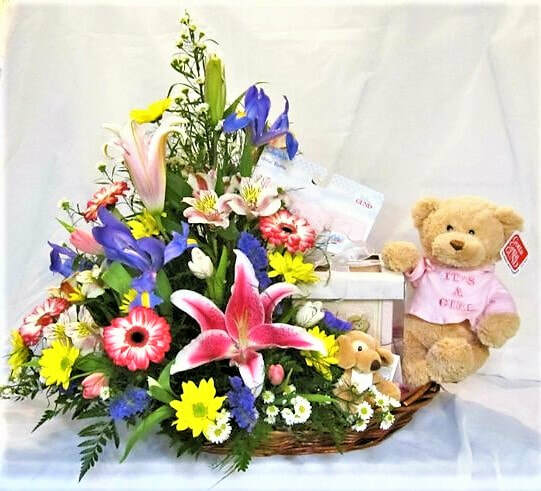 Mixed fresh arrangement on one side of the basket, with great gifts like stuffed animals, rattles, baby's first bank & more on the other side! 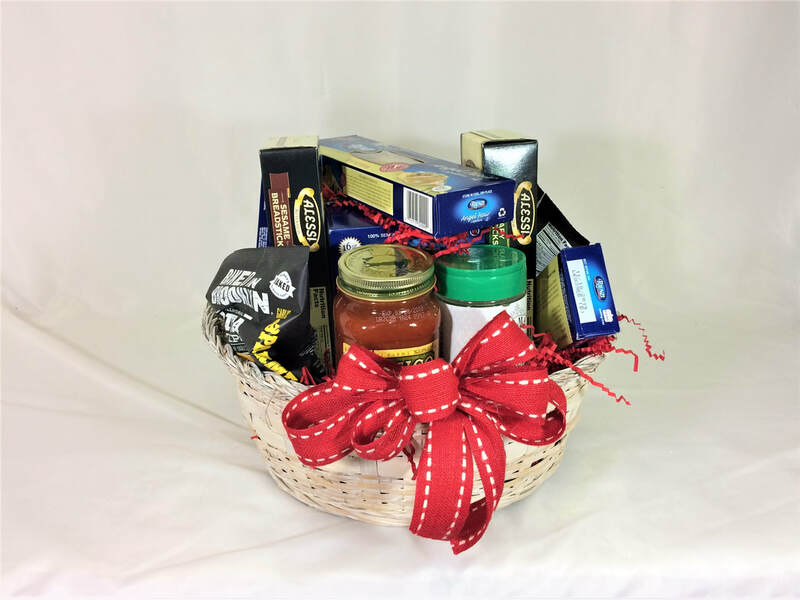 A pasta themed gift basket filled with assorted pastas, sauces and toppings. 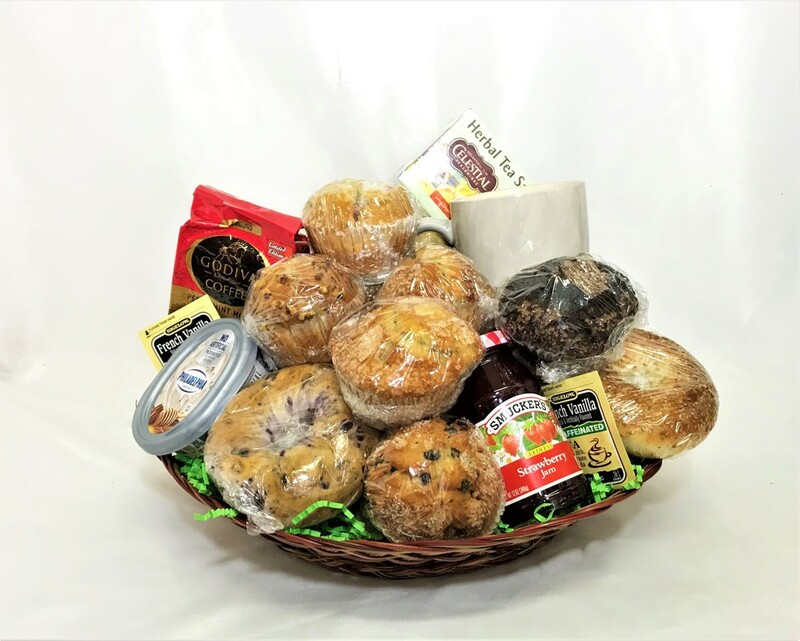 A breakfast foods gift basket filled with tasty treats like muffins, bagels, coffee, tea and toppings like jam & cream cheese. 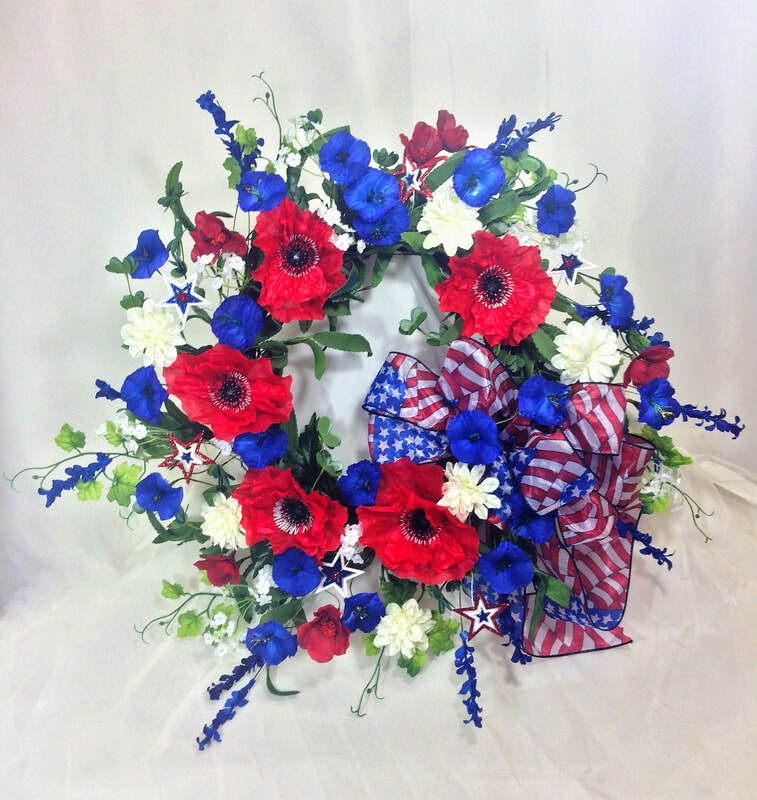 Red, white & blue artificial wreath with glittery stars and a festive patriotic bow. 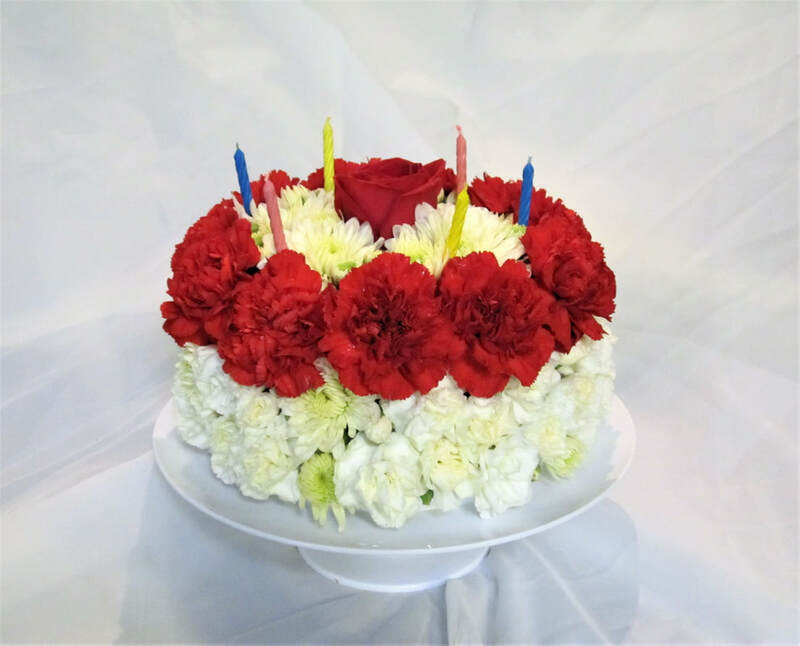 A beautiful & festive birthday cake made entirely of fresh flowers, complete with candles! 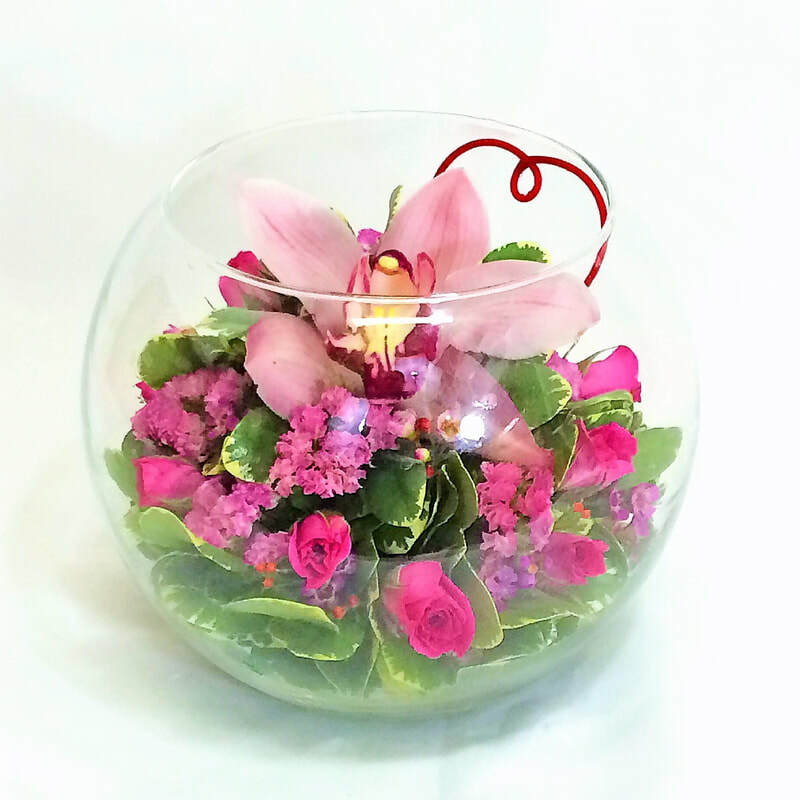 Beautiful Orchid and spray rose bouquet in a glass bubble bowl. Full and compact, this bouquet is filled with beautiful hydrangeas, miniature calla lilies, freesias, roses, and matsumoto asters. Large colorful mixed arrangement in a glass vase. 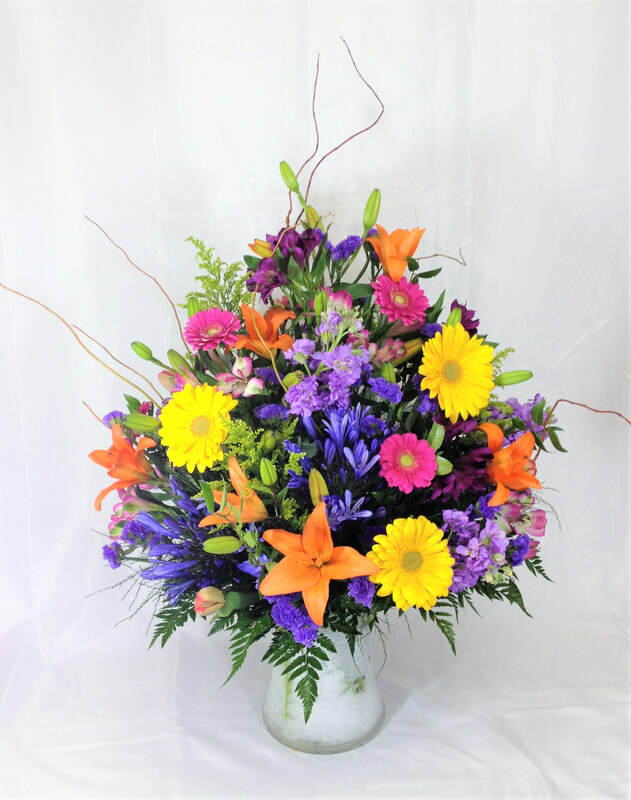 This bouquet features lilies, gerbera daisies, stock, tulips, solidago, agapanthus and more! 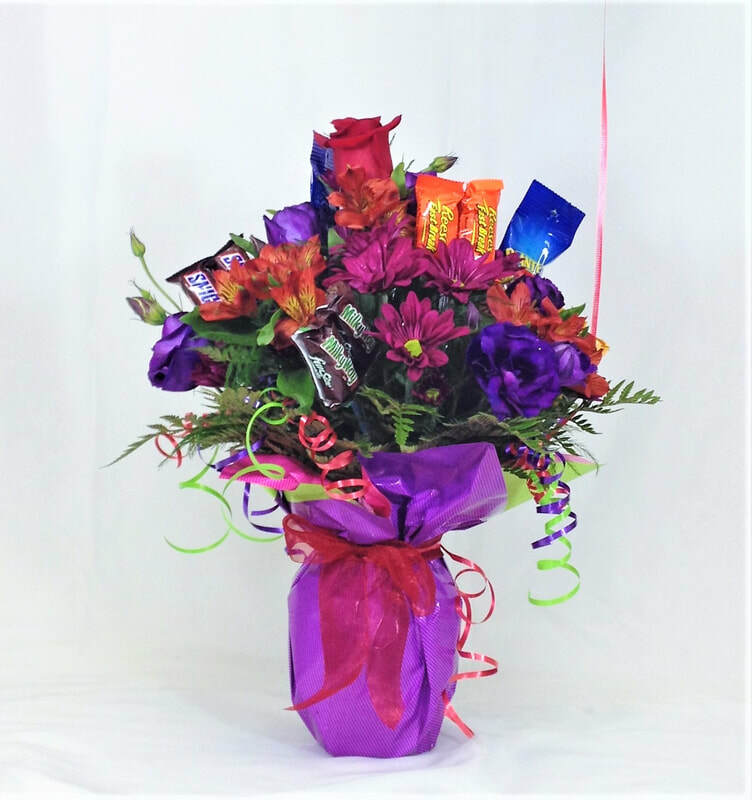 A bright & colorful mixed bouquet of assorted fresh flowers, all wrapped up & adorned with ribbons and streamers and (here's the best part!) topped off with a selection of yummy full sized candy bars, and festive balloons. 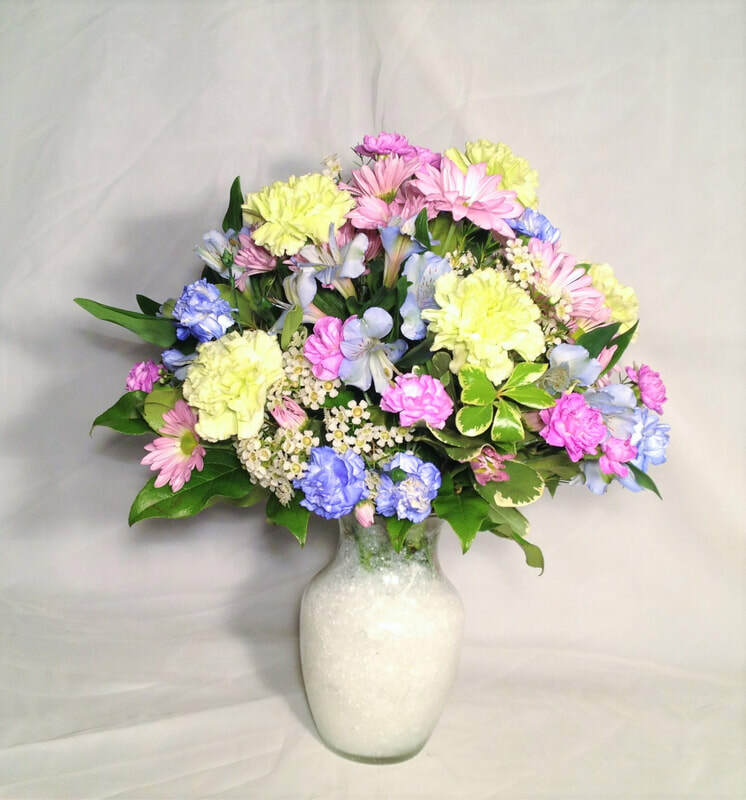 A pretty pastel arrangement of lavender daisies & miniature carnations, green carnations, light blue tinted alstroemeria and miniature carnations, and white wax flower. 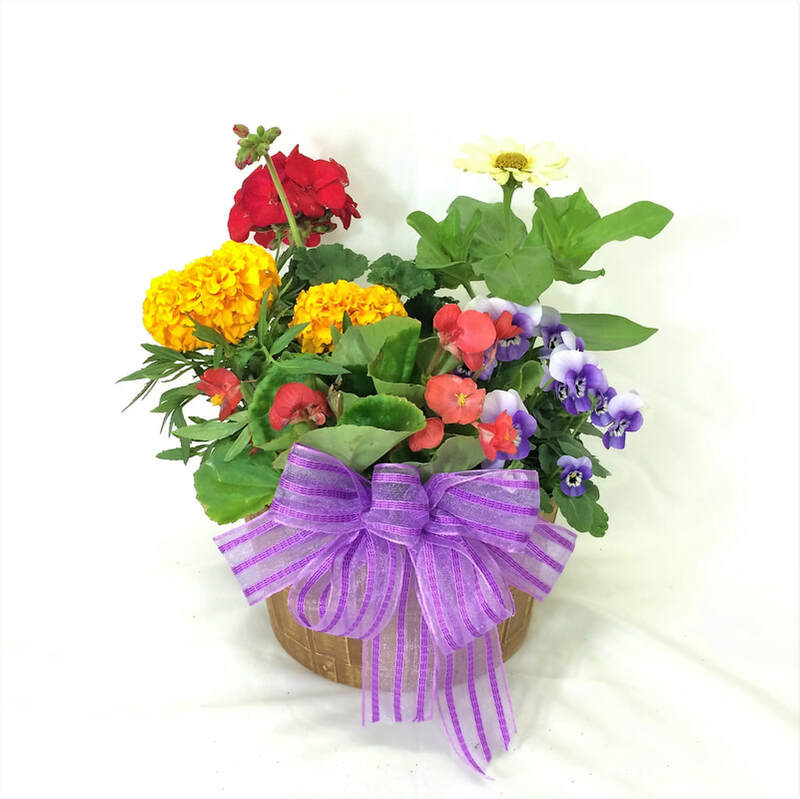 Colorful mixed plant baskets, each containing two 4" blooming plants, accented with a decorative bow. Woodsy & chic! 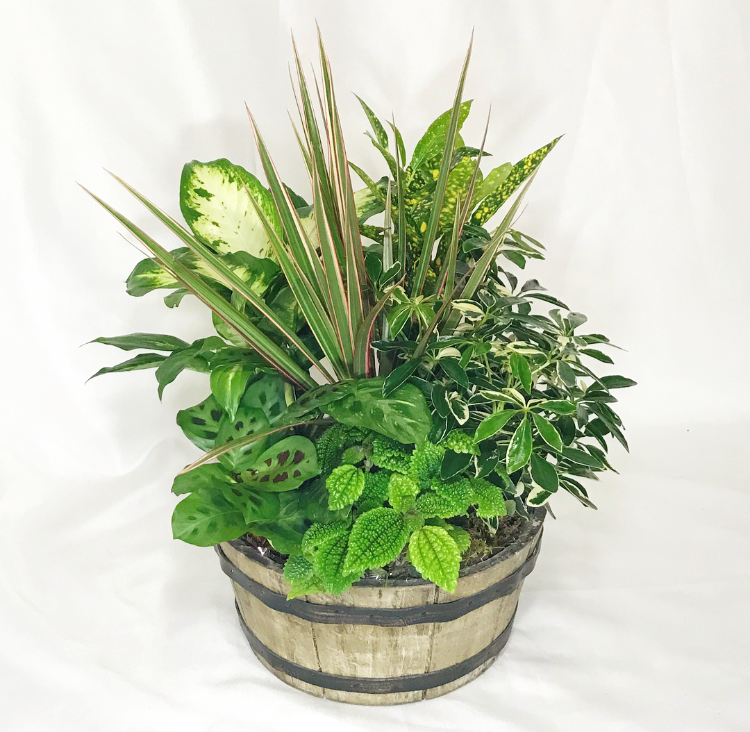 A mixed green planter potted in rustic wooden barrel style container. 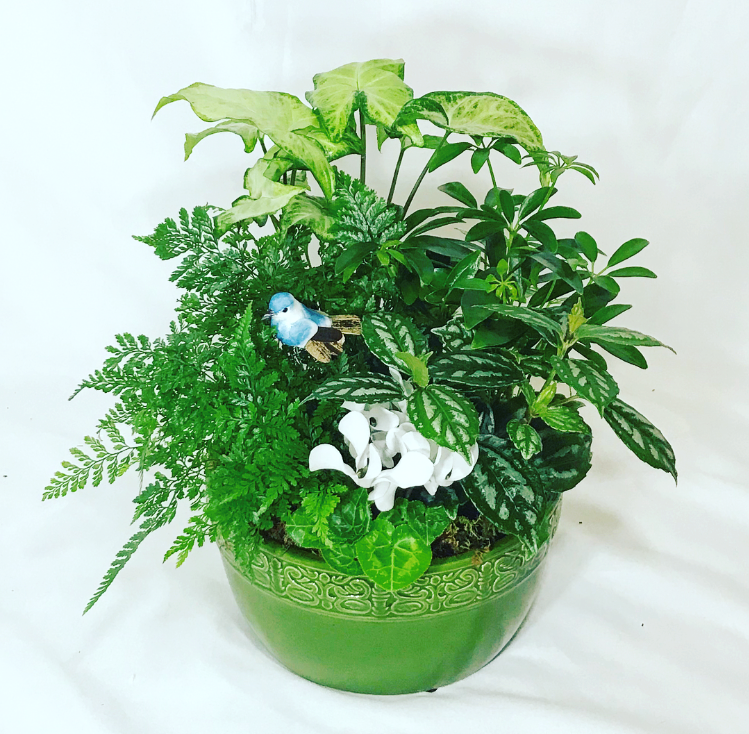 A classical looking ceramic planter filled with an eclectic mix of green plants and a small white cyclamen, adorned with a little blue bird. Nothing is trendier right now than succulents! 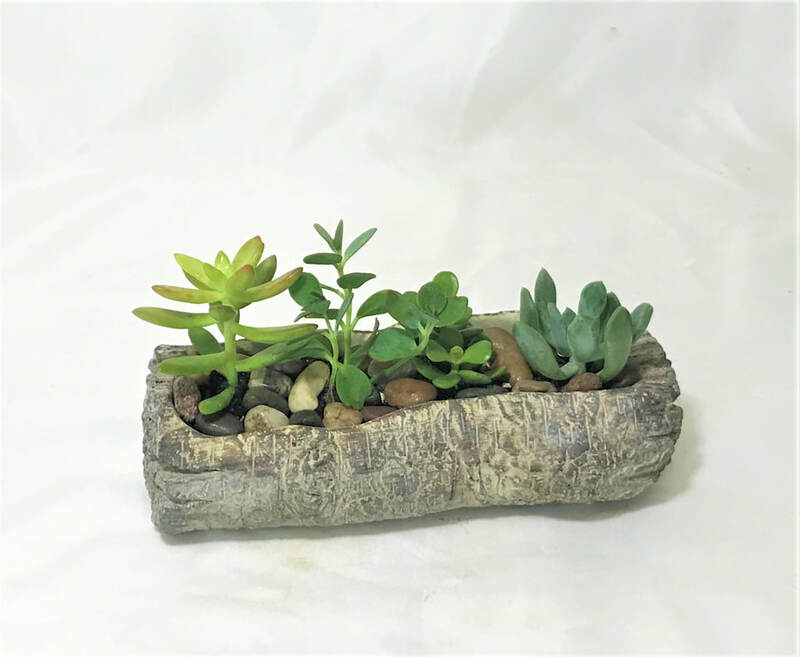 Here, we have an adorable collection of assorted succulents in a decorative stone log container. 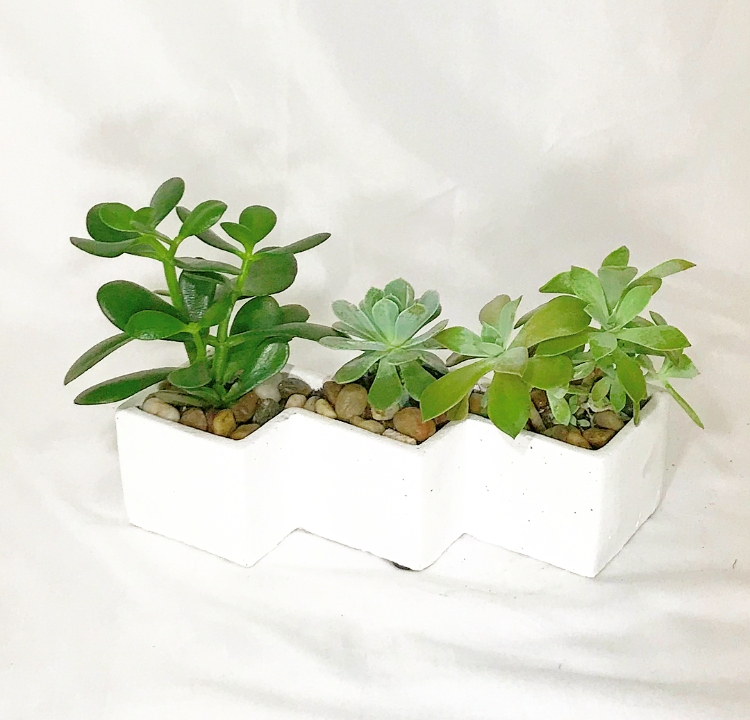 A pretty cream colored ceramic planter filled with assorted succulents. A charming succulent garden featuring three assorted 3" succulents in a cool zig zag shaped stone planter. 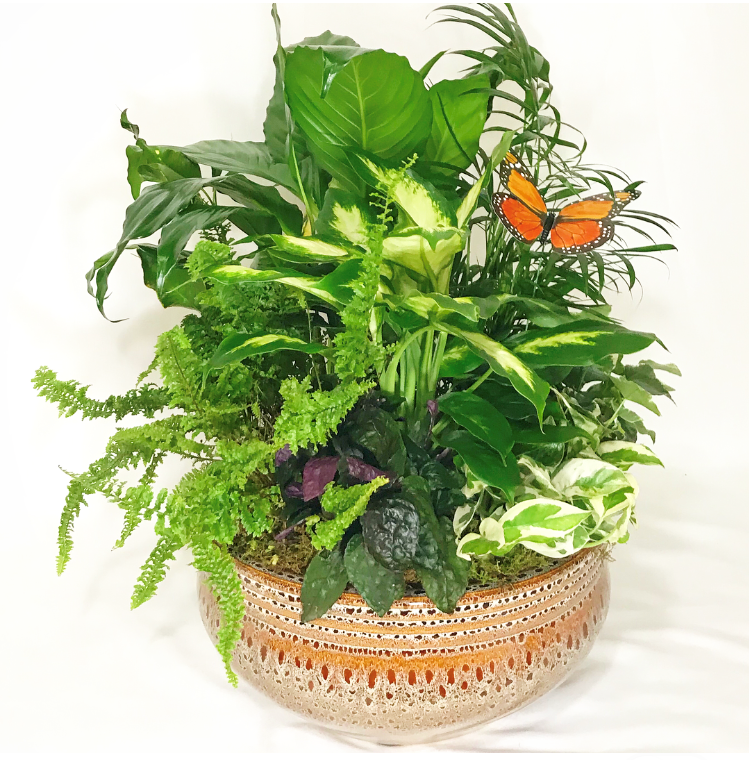 A beautiful collection of both green and blooming plants potted in a ceramic container, adorned with a decorative butterfly. 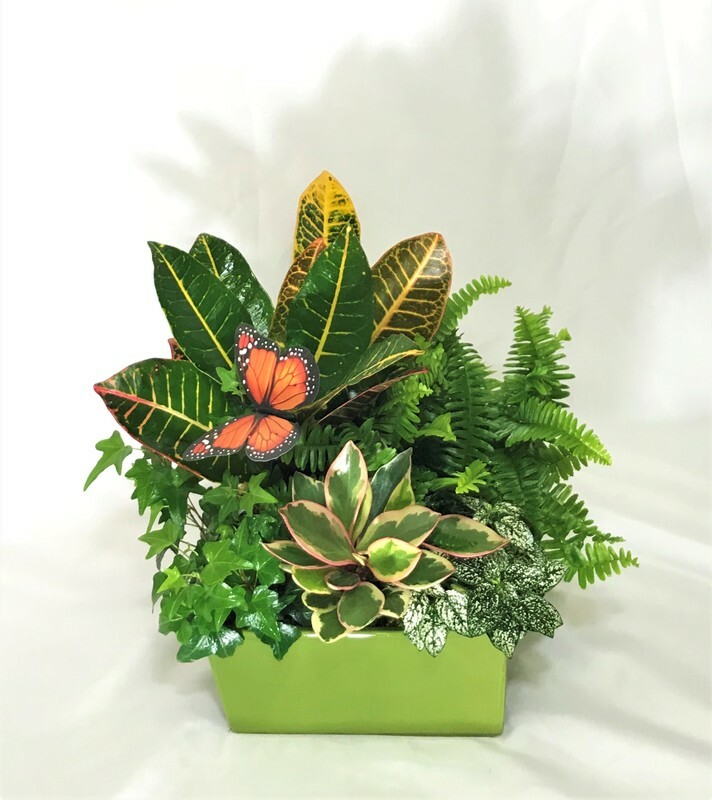 A great planter of green plants in a trendy square ceramic container, complete with either a decorative bird or butterfly. 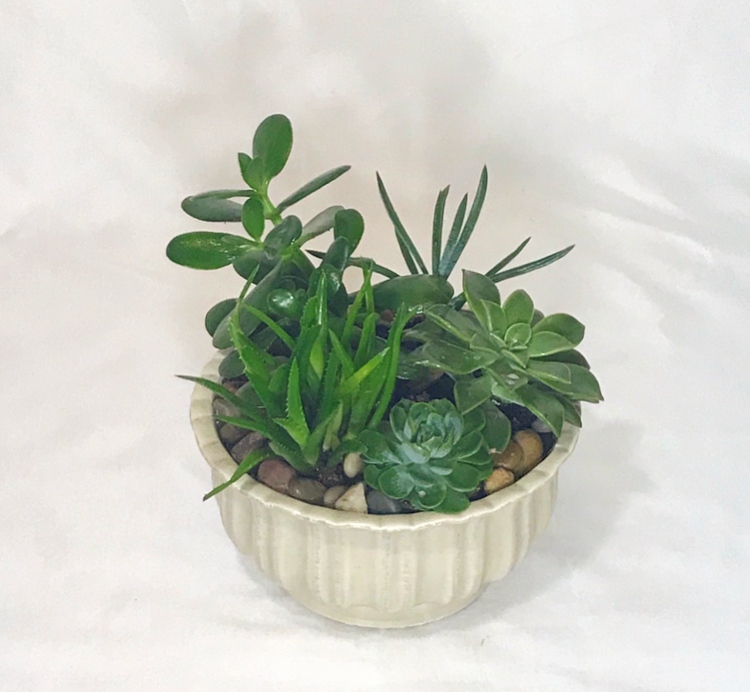 Classic large mixed green planter in a classy ceramic container. 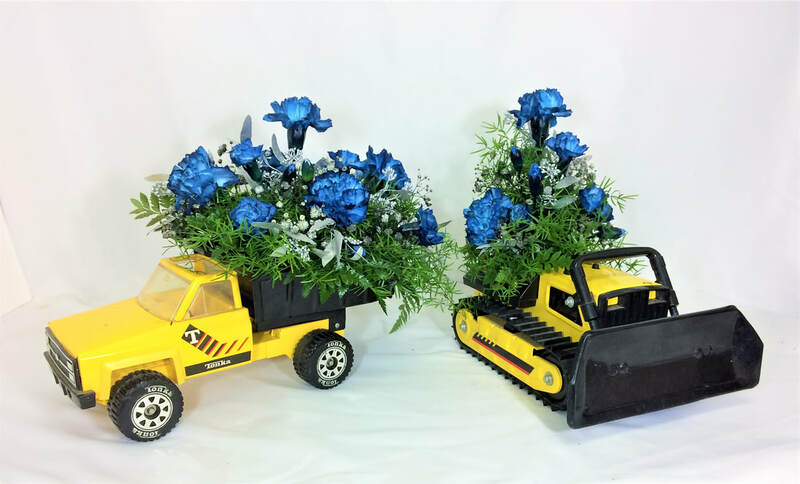 Baby shower centerpieces of blue and silver flowers arranged in the father-to-be's old Tonka trucks. 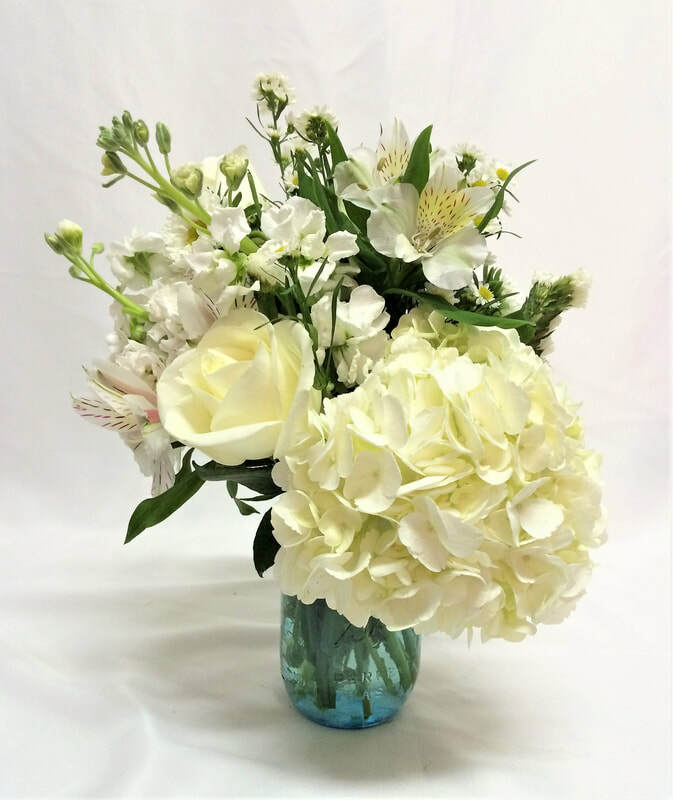 An all white garden party style arrangement of hydrangeas, roses, stock, alstroemeria and more, in a blue mason jar. 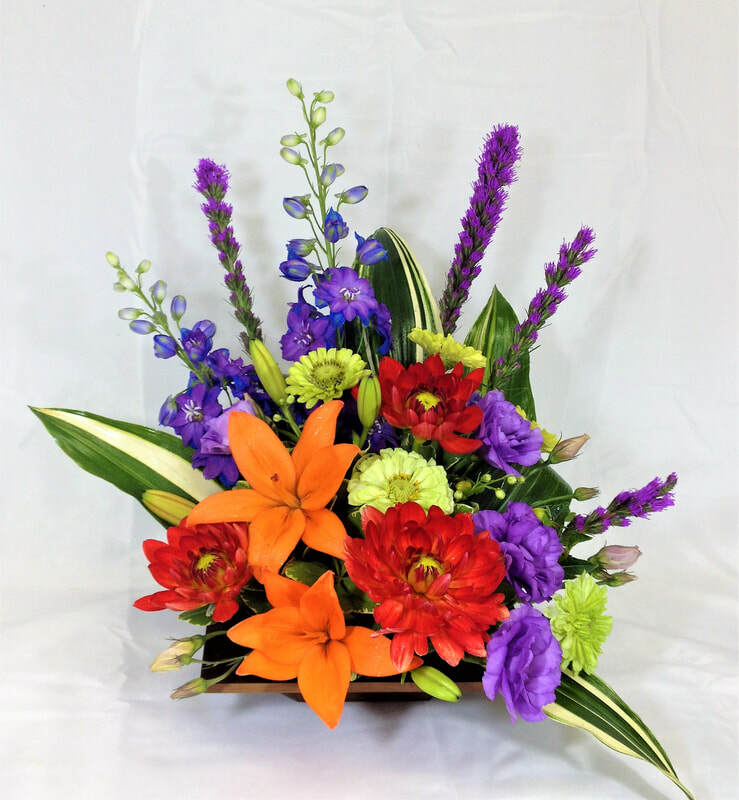 An arrangement with a more tropical, stylized feel, this bouquet features lilies, dahlias, lisianthus, zinnias, liatris, delphiniums, and aspidista. 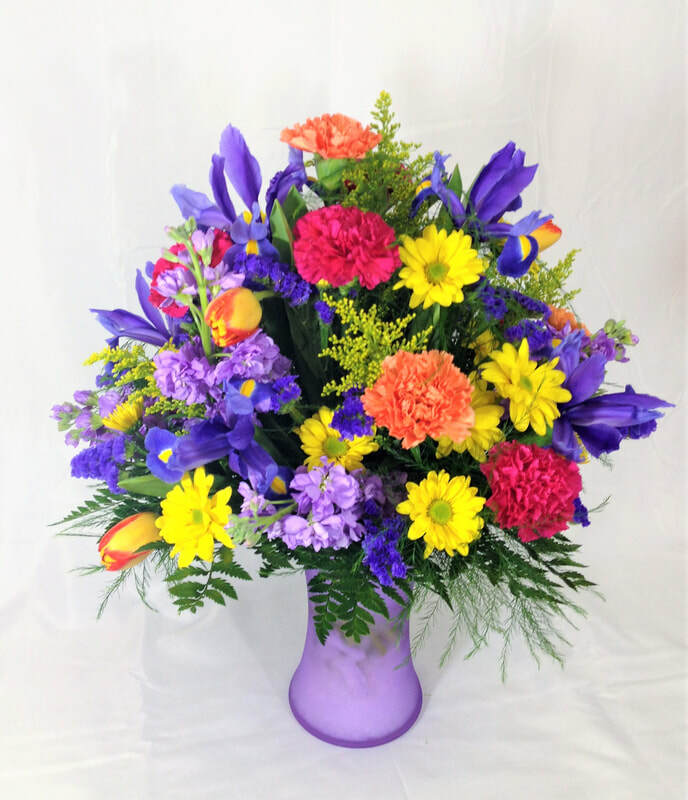 Bright mixed spring arrangement of iris, tulips, stock, daisies, carnations, solidago & more, in a lavender gathering vase. 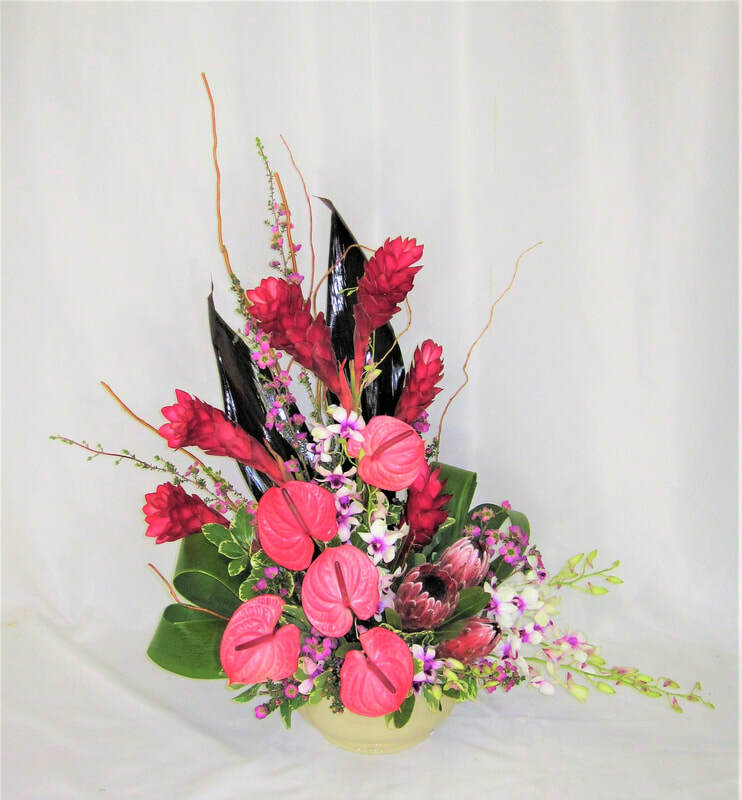 A truly tropical arrangement of delicate orchids, anthuriums, ginger, and protea. 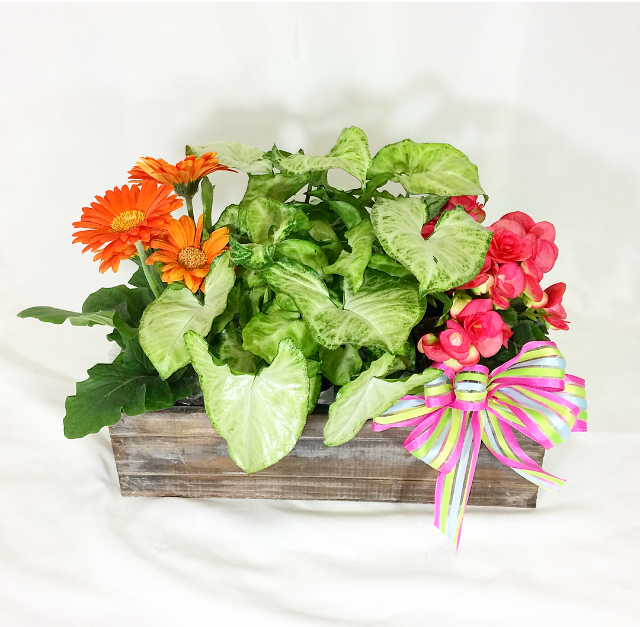 Three assorted 4" plants in a rustic wooden planter, topped off with a matching bow. 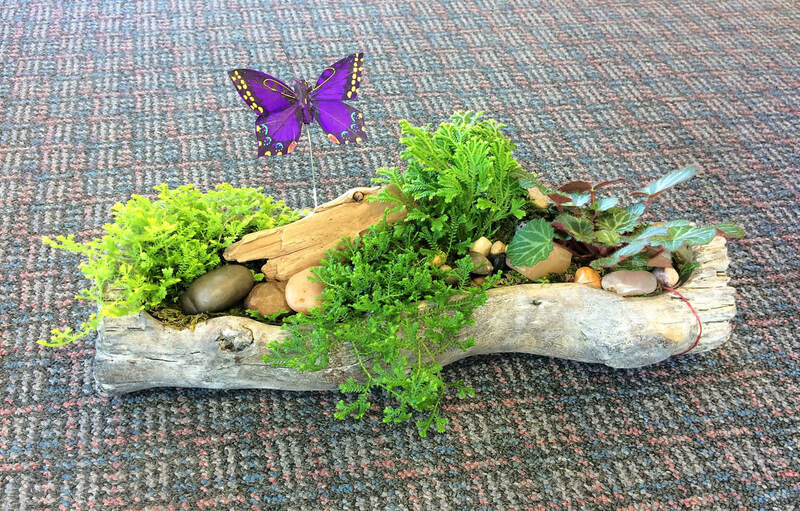 Rustic ceramic log planter of assorted small plants, accented with river rocks, drift wood & a butterfly pick. 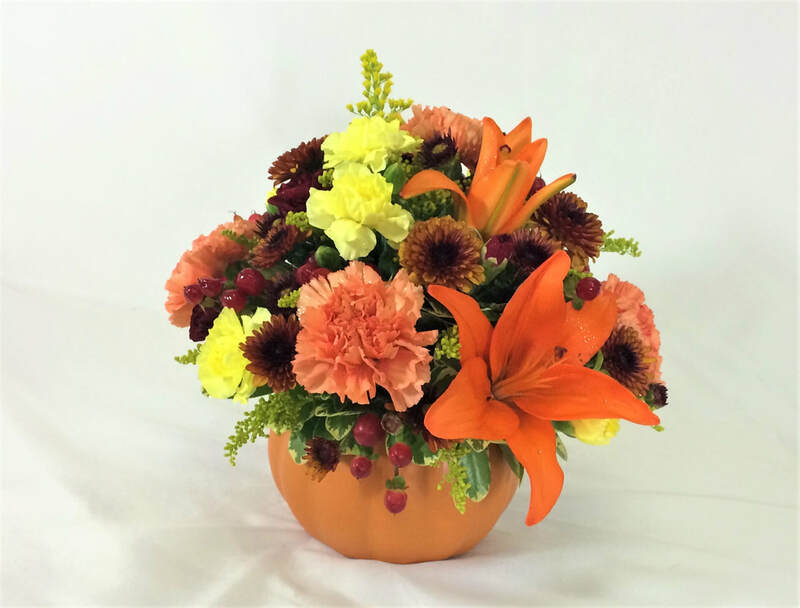 A festive fall arrangement in an adorable ceramic pumpkin container. 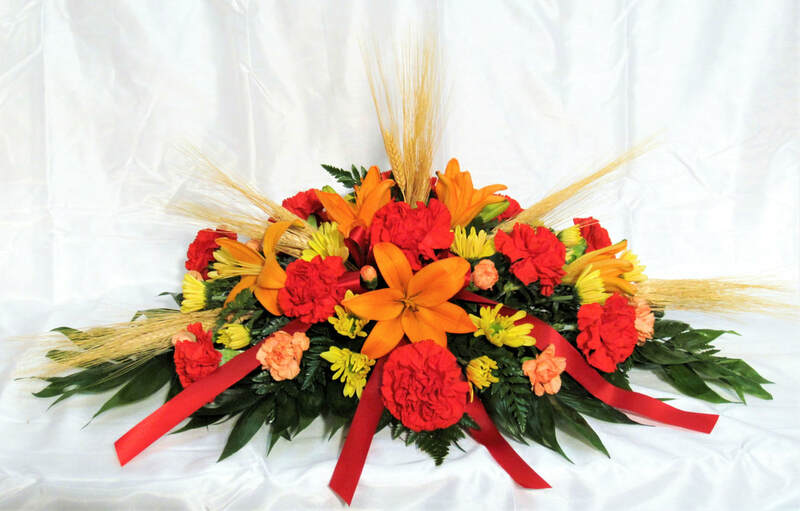 An Autumn table centerpiece of red carnations, orange lilies, and other flowers, accented with wheat and red ribbon. 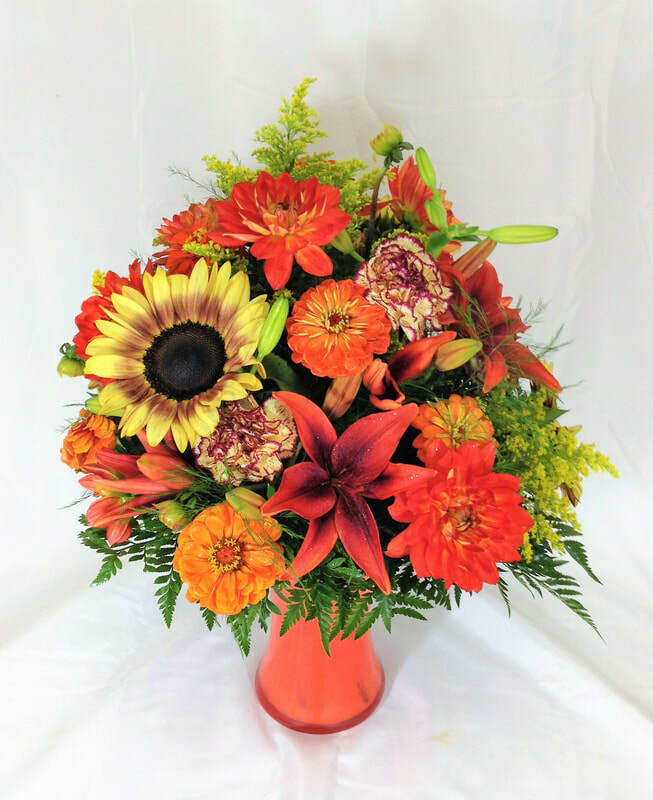 Mixed festive autumn arrangement including sunflowers, zinnias, dahlias, lilies, carnations and solidago in an orange vase. 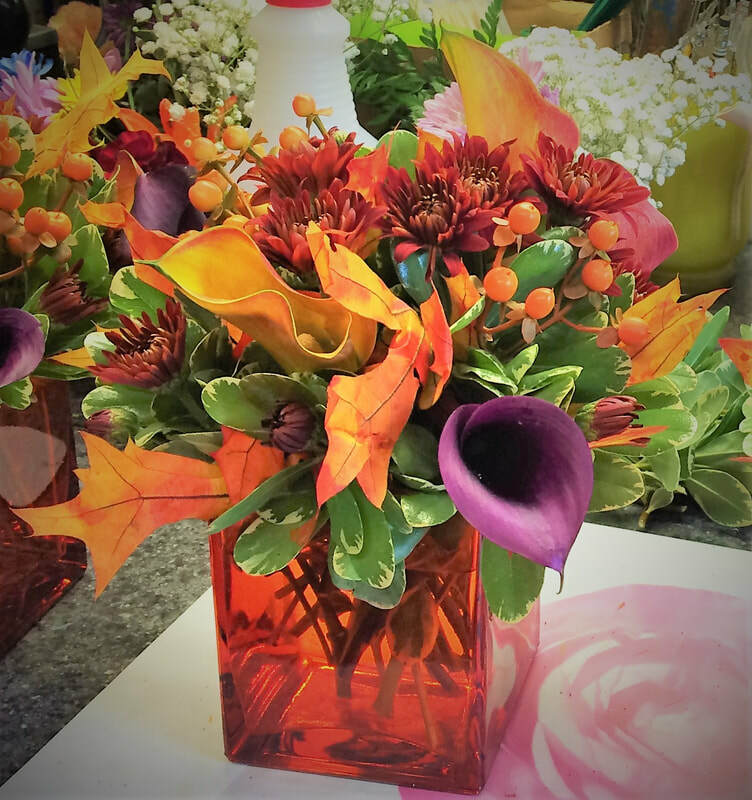 Fall table arrangement with miniature calla lilies, mums, hypericum berries & fall leaves in an orange glass cube vase. 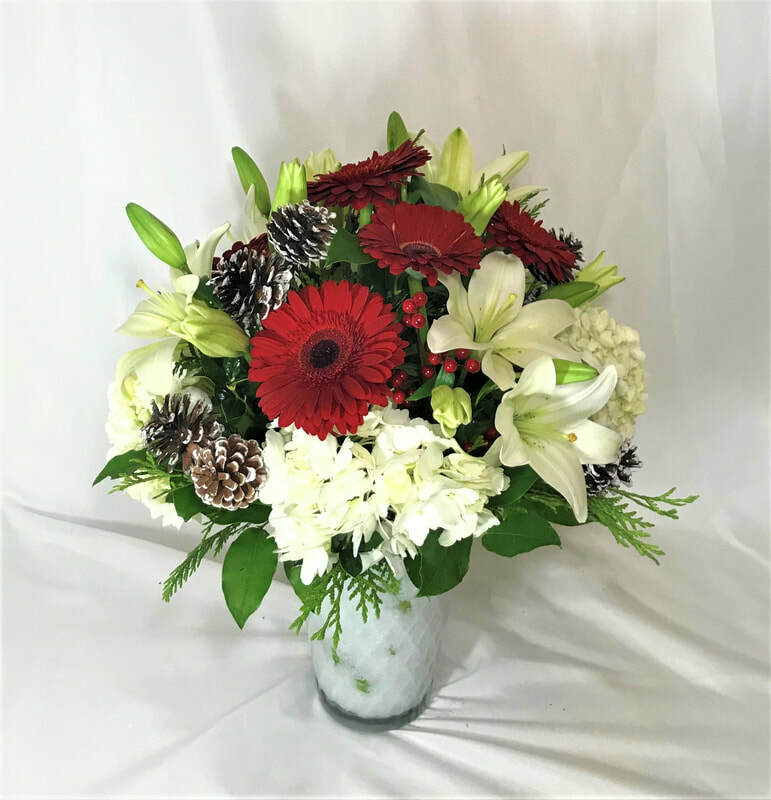 A large & elegant Christmas vase arrangement of red gerbera daisies & hypericum, white lilies, & hydrangeas, and accented with frost tipped pine cones and seasonal holiday greens. 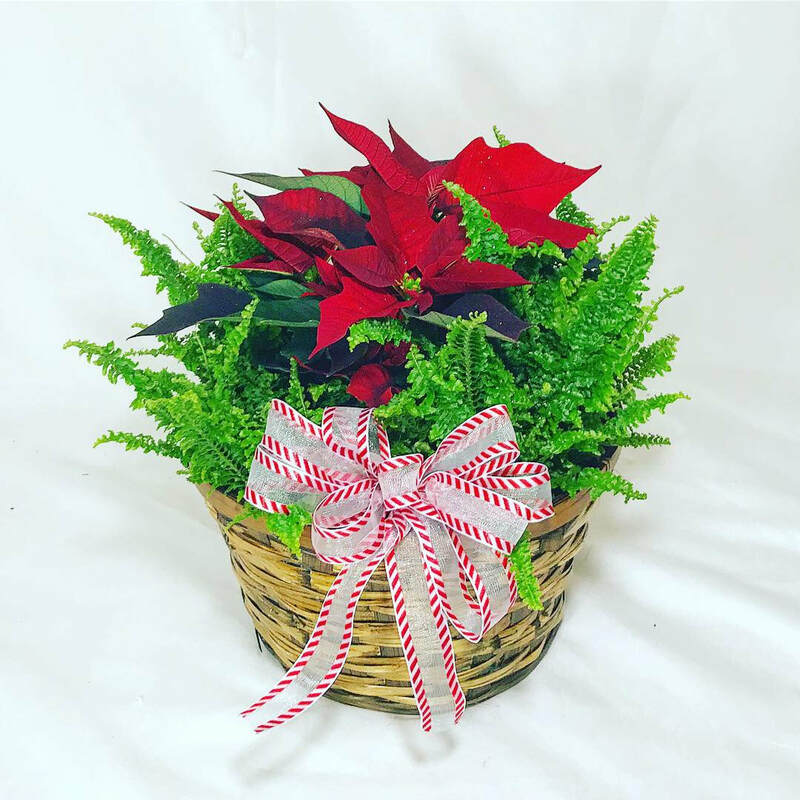 Beautiful Living Centerpiece - a perfect Christmas gift - features a red pixie poinsettia surrounded by luscious ferns. 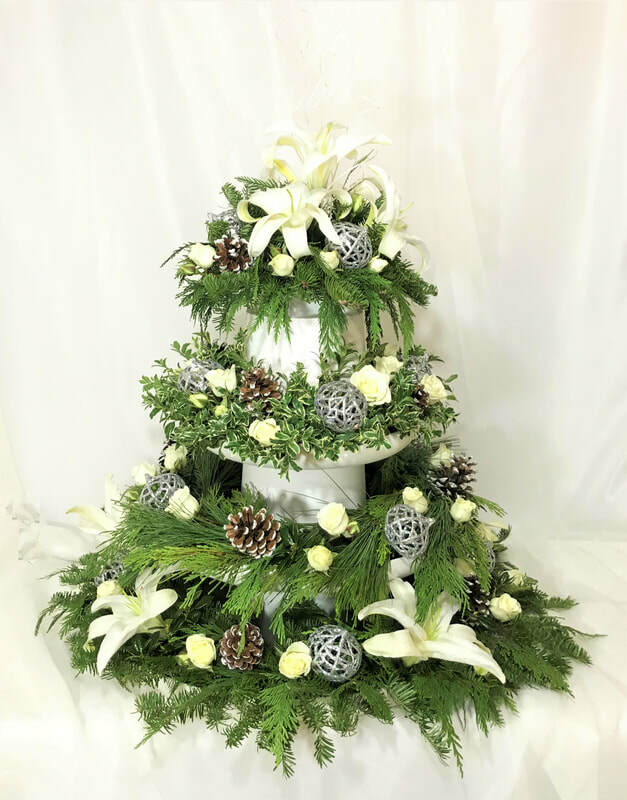 Stunning tiered holiday centerpiece of pines & other holiday greens, white lilies and roses, white tipped pine cones, and shiny, glittery silver ornaments. 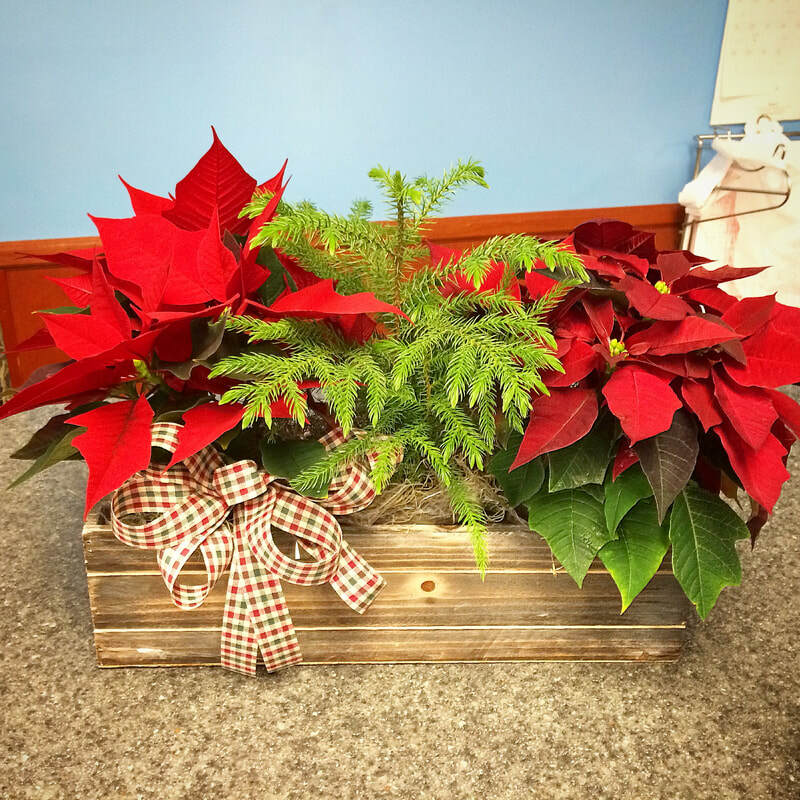 Festive Christmas triple plant basket features three 4" seasonal plants, like poinsettias, Christmas cactus, Norfolk pines, Lemon Cypress, or Holly.